All your questions on baking with almond flour answered here! 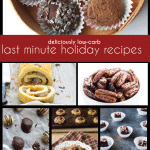 This instructional article takes the guesswork out of how to bake with almond flour, so you can indulge in low carb treats all year long. Take it from this self-proclaimed Almond Flour Wizard! I’ve updated this post on how to bake with almond flour, as I’ve got a lot more good information to add! I’ve been baking with almond flour for more than 8 years now and I have to say, I have gotten pretty good at it. I’ve been called The Keto Baking Queen by many people and it’s a title I’ve earned through many years of trial and error. I am proud of my low carb baking skills, and I find myself improving and growing on almost a daily basis. So I decided it was high time to update this article on How To Bake with Almond Flour so you can benefit from my experience! Because almond flour is the basis of many of my keto recipes, I am highly comfortable with it. 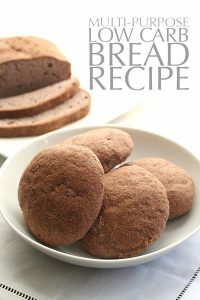 It’s perhaps one of the most versatile of the low carb flours, and works well in low carb cookies, cakes, and breads. 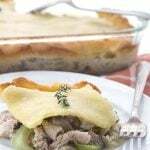 It’s great for low carb pie crust too! You just have to know how to treat it, what to look for, and how to adjust if it doesn’t work quite as you expect. So let’s get started. Answering your burning questions about baking with almond flour, right here, right now. 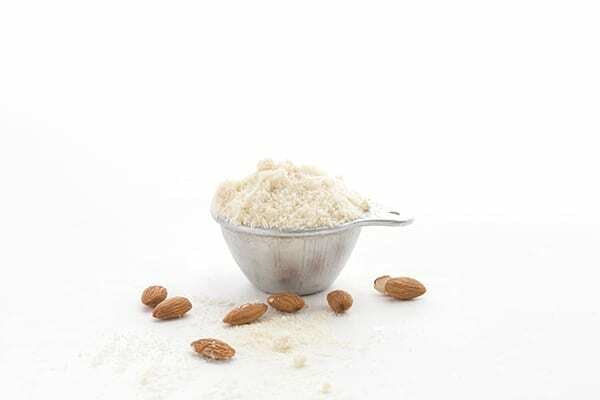 Almond Meal vs. Almond Flour – What’s the difference? Let’s clear up any misconceptions right now that all almond flour is created equal. I get this question a lot, and the answer is a resounding NO! 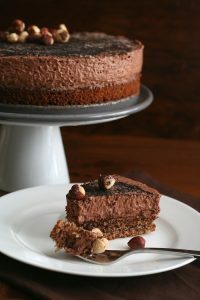 Sure, they are both made from ground almonds, but anything that calls itself almond “flour” should be finely enough ground that you can make fine-textured cakes and bread that rival their wheat-based counterparts. It should also be blanched almond flour, so that you get no little dark bits of skin. There are several really good brands of finely ground almond flour, including Honeyville, WellBee, and Anthony’s. My favourite is Bob’s Red Mill Super Fine Blanched Almond Flour. Costco also sells good almond flour at a reasonable price, under their Kirkland brand, which I believe it actually produced by Honeyville. Almond meal is more coarse and may contain the skin of the nuts. Almond flour is more fine and more consistent in grain size. 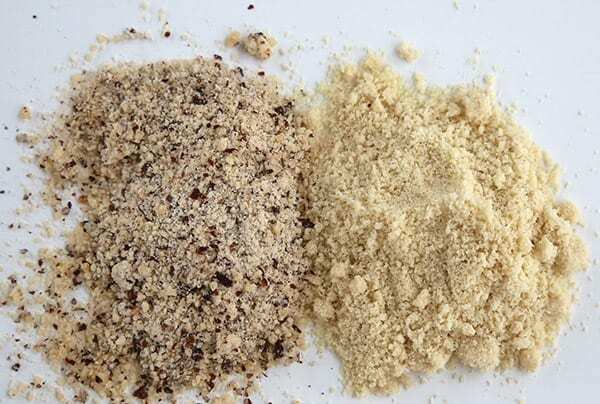 Almond meal is much more coarsely ground and if you place the two side by side, you can really see the difference. It’s still often good enough for baked goods where texture doesn’t matter quite as much, like low carb muffins or crackers. It can be both blanched (skins removed) and un-blanched (skins left on). And since it’s often less expensive, it may be preferable to almond flour at times. You don’t even have to buy almond meal, you can make it yourself if you have a good food processor. So, if you’ve ever made an almond flour recipe and had issues with the final product holding together, leaching out the oils or butter, or not rising properly and holding its shape, a likely culprit is that you are using the coarser almond meal, instead of almond flour. The larger particles mean less cohesiveness for the finished product. For some things, it may not matter but for cakes and fine-textured items, it most certainly does. I don’t even keep almond meal around anymore, I use almond flour for everything. You’re going to hate me for saying this, but there is no easy formula here. It all depends on what you are trying to make. Cookies are dense and crunchy whereas cakes should be light and fluffy, and they are going to take very different ratios of almond flour to other ingredients. I wish I could tell you it was as simple as swapping almond flour for wheat flour at a 1:1 ratio. But it’s not and when you think about it, you can see why. Almond flour is basically ground nuts, full of fat and moisture, entirely without gluten and not nearly as powdery, fine and dry as wheat flour. So there are a whole range of factors you need to account for when adapting a wheat-based recipe to low carb and gluten-free. You need to consider the texture, density, and moisture content of the baked good you want to make over. A cup of almond flour also differs significantly in weight from a cup of wheat flour. Out of curiosity, I just went and measured the two (literally right now, as I am writing this) and a cup of wheat flour came to 5 oz, while a cup of Bob’s Red Mill blanched almond flour came to 3.75 oz. That’s more than a full ounce difference! If you are a total beginner with almond flour, I’d actually suggest you stick to some tried and true recipes to get a feel for how it behaves and the overall proportions. That’s certainly how I started, 2 and 1/2 years ago. Once you have a good sense for almond flour recipes, you will find it easier to strike out on your own and adapt some family favourites. Let me tell you what I do, when I start making over a recipe. Take, for example, my Almond Crusted Butter Cake. The original wheat-based recipe took about 50% more butter and 50% less flour. Knowing that almond flour has a higher fat content but is less dense than wheat flour, I basically switched this ratio around. Then I doubled the baking powder and added in whey protein to make up for the lack of gluten and to give the end result more structure. Then I crossed my finger, said a little prayer, and popped it in the oven. And it has since become one of my all-time favourite keto cake recipes! You can also increase the eggs for more protein and structure, but too many eggs can give the final result a rubbery texture or make it too “wet” and gummy in the center. I usually start with one more egg, and then add another closer to the end if the batter seems too heavy and thick. One important thing to note when adapting wheat flour recipes is that your almond flour batter will almost always be thicker. Don’t expect it to look exactly like a wheat-based batter and resist the urge to thin it out with liquids, or you will likely end up with a soggy mess. People often ask me if they can use other nut flours and meals instead. I give the answer to this question as a tentative “yes”, with several caveats. 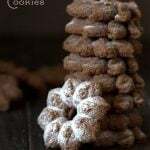 First off, I don’t know of too many other nut “flours” that are as finely ground as true blanched almond flour, so if texture and consistency of the end result is dependent on the grind, then you may have some difficulty. 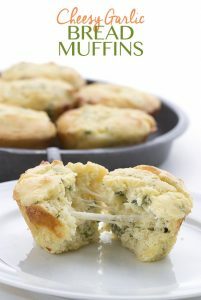 Some keto muffins, scone and cookie recipes lend themselves admirably to a simple swap of one nut flour/meal for another. 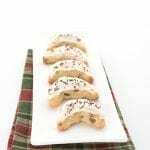 Several of my biscotti recipes could be made with hazelnut meal instead of almond flour, as could some cracker and cookie recipes. And my Hazelnut Chocolate Chip Bundt Cake could easily be made with another nut meal of choice (walnut, almond, pecan…all of those would do well). But finer cakes and cupcakes might become too crumbly, to coarse and possibly leach out oil during baking if you attempt it with anything but the most finely ground flours. If you want a fine crumb on your cake so that no one can guess it’s low carb, then you want finely ground almond flour. This is, in my opinion, the best nut-free substitute for almond flour, because it can be ground quite finely. You can even make your own sunflower seed flour easily at home. 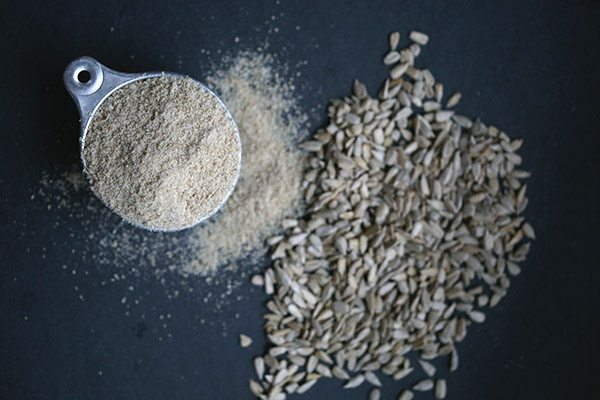 Check out How To Make Sunflower Seed Flour here. The funny thing about sunflower seed flour, though, is how it can turn green when it’s baked. This is a reaction with the leavening agents like baking powder and baking soda and it doesn’t mean the baked good has gone bad. To offset this reaction, you need about 1 tablespoon of acid like apple cider vinegar or lemon juice. 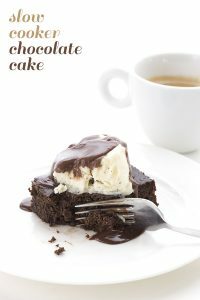 In chocolate recipes, the brown colour covers the green and you don’t really need to worry about it. You cannot sub coconut flour for almond flour as a direct 1:1 substitution. I cannot state this more strongly. Don’t even think about trying it or you will end up with hard, inedible thing that is only good for using as a hockey puck. Check out my article on Baking with Coconut Flour for more information. Coconut flour is an entirely different creature than any flour based on tree nuts. It’s fine, powdery, dense and soaks up liquids like nobody’s business. It also requires more eggs and sometimes more other “binders” like xanthan gum, to keep the final product together. And you want to use WAY less coconut flour for a recipe than you would almond flour, sometimes as little as 1/3 to 1/4. In essence, if you choose to make a recipe based on almond flour with coconut flour, you will need to restructure the whole thing. If I were to take one of my basic almond flour recipes and rework it for coconut flour, I would start with about 1/3 the amount of flour, twice the eggs, some xanthan gum, a little more leavening agent like baking powder, and then I would add my liquids like coconut or almond milk last and not all at once. I would add some liquid, work it in and see how thick the batter was, then add a bit more and a bit more until it felt right to me. Again, “right” in this case is likely be a thicker batter than anything wheat-based, so it take some experimenting to get it right. One good thing about working with coconut flour (and almond flour) is that they don’t contain gluten so over-mixing is usually not an issue. On occasion, I’ve been making a coconut flour recipe and suddenly thought it needs another egg or two. I’ve added it at the very end and had no problems with the end result. In this sense, at least, coconut and almond flours can be very forgiving. The best answer I can give you here is: maybe. Peanut flour comes in a variety of forms, including roasted (light and dark), unroasted, partially defatted and full-fat. I ordered some peanut flour once that was essentially just ground peanuts and it did well as a sub for almond flour in several recipes. But the defatted ones are a little bit like coconut flour, they are very fine and powdery and soak up a lot of liquid. So they are going to require some reworking of the basic recipe in some of the same ways as coconut flour, although to a lesser extent. Always use the scoop and level method, unless the recipe indicates otherwise. I always simply scoop the almond flour from the bag or the canister, and level it off with a knife or sometimes with my hand. I never try to jam pack my cups to get more almond in there, so all of my recipes will be written assuming you simply measure an unpacked scoop. A well-written recipe should specify if you should pack the ingredients, so assume not if it doesn’t say. Sadly, not all recipes are that well written these days. Many gluten-free recipes are done by weight, not volume, because gluten-free ingredients can differ significantly by brand. I am making an effort to do this more often now, especially when the recipe is on the tricky side and precise measurements matter. I would suggest investing in a small kitchen scale if you want to be more accurate. I will always give measurements by volume, however, since I want my recipes to be as accessible to as many people as possible. Weight measurements are more accurate overall, but it doesn’t do me any good if the reader doesn’t own a kitchen scale! Looking for a firmer bread you can toast and slather with peanut butter? Yeah, me too. 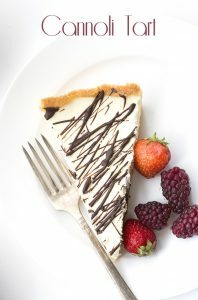 Almond flour is by nature moist so if you use it on its own, your end result can be more cake-y than you want it to be. I find that adding a little bit of a denser flour, like coconut flour or oat fiber, can help stiffen the batter and thus firm up the bread. I used coconut flour successfully in my Low Carb Panini Bread Recipe. The trick is to not increase the other wet ingredients, so the addition of this flour helps dry out the consistency of your bread. You can also try using a little oat fiber, which is made from the husk, or the “bran” of the grain and not the grain itself. However, it may contain a little gluten so it’s not idea for people with a gluten intolerance. Many people add psyllium husk to low carb bread recipes as well, which can give it more of a yeast-bread like texture. But depending on the brand of it can also make it gummy and sometimes it has a purplish hue. 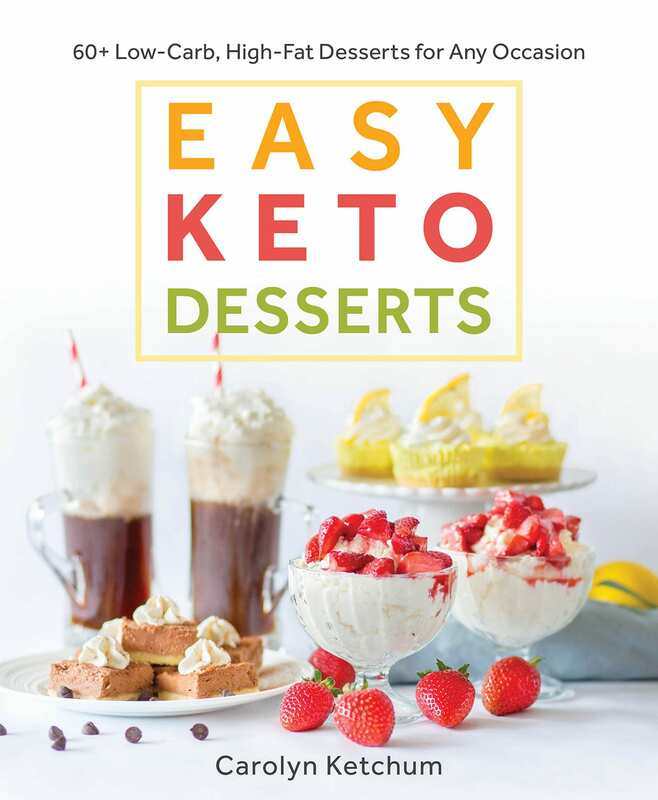 Why do I often use whey protein or egg white protein in my keto cakes and other baked goods? It isn’t, as some people think, to get more protein into my diet. I am an unabashed carnivore and consume plenty of protein. It all comes down to the science of baking. Gluten is a protein and it’s part of what gives wheat-based baked goods structure, allowing them to rise and hold their shape. In gluten-free baking, adding in a dry protein can help make up for this. You can’t just add more egg whites because that will throw off the liquid to dry ratios. But you can easily swap out the whey for your protein powder of choice (hemp, soy, even egg white powder). The results may vary a little depending on the protein content per serving. With only a few exceptions, I would say yes, most almond flour baked goods are indeed freezer-friendly. I have successfully frozen cakes, muffins, cookies, scones, and even some almond flour pie crust. I usually freeze after baking, and I freeze before I glaze or frost the baked good in question. However, you can also freeze some unbaked items and then thaw before baking. 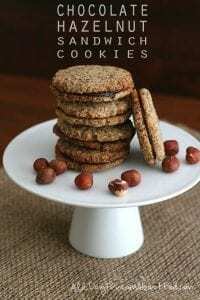 I’ve done this successfully with almond flour cookies like my Butter Pecan Cookies and Chewy Ginger Cookies. The trick here is to roll them into balls and flash freeze on a cookie sheet. Then you can put them in a container or plastic bag and they can be frozen for months. Thaw fully before baking. I keep my unopened bags of almond flour in my cellar, which is quite cool year round. Once a bag is opened, I transfer half of the almond flour to an airtight container and keep it on my counter. The rest is frozen or refrigerated to keep help it keep. I don’t recommend trying to bake with the almond flour straight out of the freezer. The high moisture and fat content will make it very clumpy and hard to work with. Let your almond flour baked goods cool completely. My friends, I can’t emphasize this enough.It can be tempting to start cutting them up soon after they are baked, but try to resist or you may wind up with a heap of crumbs. The texture and cohesiveness of low carb baked goods always improves upon cooling and sitting. Crackers, cookies and tart crusts will crisp up better and breads and muffins will hold together better when left to sit for an hour or two. Room temperature ingredients. Make sure your eggs, butter, and cream or almond milk are at room temperature, unless otherwise specified by the recipe. If they are cold, your batter will clump up. Grease that pan well! Low carb goodies can stick more than conventional ones, so really work that butter or oil into the corners of your pan. Watch it carefully. Almond flour baked goods can also brown more quickly than wheat flour recipes. If I am adapting a wheat-flour recipe, I almost always lower my oven temperature by 25 degrees F, and I watch it carefully. If the top and sides are browning too quickly, I cover the pan with aluminum foil. Baking times are only a guide. Oven temperatures can vary tremendously so please only ever use baking times as a rough guideline. What takes 20 minutes in my oven may take 25 in yours. Or yours may be done faster. You should always set your timer for 5 minutes LESS than the baking time says, and then check on it every 5 minutes after that. Ready to become an almond flour baking expert? I hope that helped answer some of your most pressing almond flour baking questions. If you can think of anything I didn’t cover here, or you have some tips of your own you’d like to share, please leave a comment or send me an email. I’d be more than happy to update this little (long) treatise to cover more ground! Good for you! Don’t buy into the “too many calories” thing…it’s not true. Eating good foods rich in fats helps keep you satiated and you do eat less. Hang in there! Looking forward to continuing to expand my healthier way of cooking. I’m anxious to receive your blogs, recipes and hope to be in the kitchen a lot! I am so pleased I found this today on Pinterest. I’m diabetic and trying to lose my blood sugar numbers plus lose weight. These articles should be a huge help. I’ve reversed my type 2 diabetes by using low carb recipes like these. Lost 57lb in weight in 8 months and lowered blood pressure so off all meds. I’ve just made an orange cake with almond flour, eggs, sugar and cooked whole orange. It looks and smells great, and it’s for a party tomorrow. Before serving, I’ll sprinkle icing sugar on it. Would you please tell me how I should store the cake? Do I wrap it, refrigerate it, put it on the back porch?????? I’d say it’s probably okay for today on the counter, unless it’s an overly moist cake. But I would wrap it in foil to keep it from drying out. I forgot to say that the cake has slivered almonds on top. I just wanted to say that I make my own almond milk. After straining I am left with almond pulp which I then dehydrate at no higher that 115 degrees then process in food processor resulting in almond flour. I like using this better that Bobs or any store bought almond flour as it is not grainy and more powdery like regular flour. sandra…is flour with almond pulp behave same as store bought or flour from whole almonds or needs to modify recipes with less liquid or more flour?? Thank you so much for taking the time to post this! Baking is tricky for many, and often the result is not good enough for the picky one’s of us. Your recepies lokes lovely, and I think I’ll try one this weekend 🙂 But- How to choose???? Ok, at last I’m ready to give it a whirl. Thanks for answering so many of the questions I had about baking with almond flour! I think the only way I can get my dear husband on board with wheat-free living is with great baking…so wish us luck! Awesome info! Thanks so much! Very helpful. Thanks so much. brilliant pice, loads of great tips for those who have and haven’t tried baking with Almond flour. Loads of would be bakers will love you like we who know you already do. Thanks. Oh dear about the butter cake. That one is definitely so reliant on the fine grind of proper almond flour. I think I have to make that recipe more specific. I have started using almond flour when making and my bake goods are not rising. The good come out flat. Am I doing something wrong? Please help. I always wondered how exactly a flour made from nuts could be substituted for wheat flour when nuts have so much fat in them. I feel enlightened now! This is awesome! Thank you. I definitely need to read this over several times! Thanks for sharing all of your extensive baking knowledge with us! 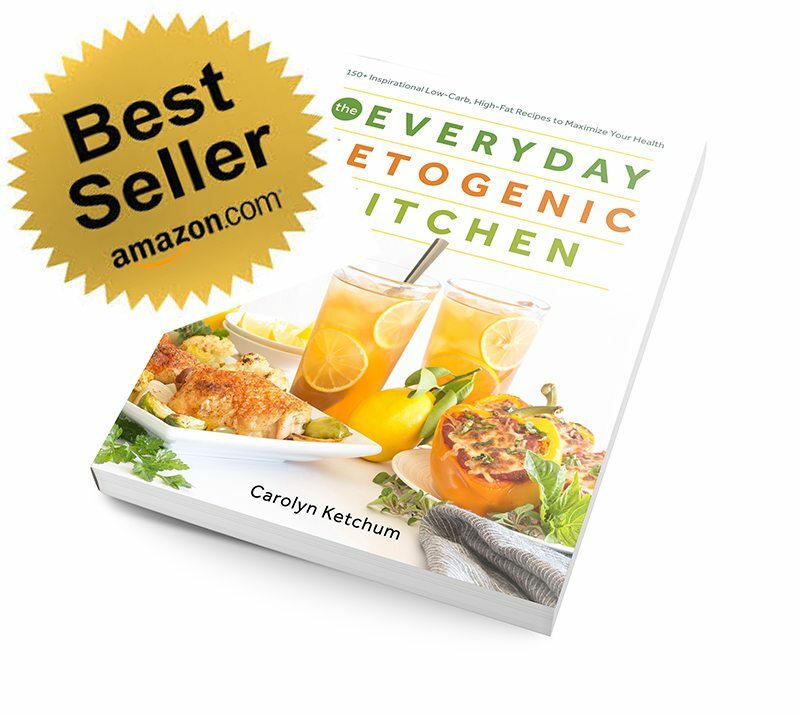 Thank you so much for sharing all of your research….Years ago I adapted a lower carb lifestyle and was quite happy with it…..except for baking…..never could seem to find the time to get the hang of it…..I am turning over a new leaf today….thanks for offering the information to help increase my confidence for the task. I posted this over on the Wheat Belly FB page. Always talk about almond flour over there 🙂 Nice post. I agree- JK is the best Canadian option I’ve found as Honeyville won’t ship here. Carolyn, I can tell I’m going to refer back to this again and again! My husband and I are new to the wheat free eating, and all I can say is bless you for your information on almond flour, I had just about given up on being able to bake anything ever again, I will buy correct almond flour, and try again. Thank you. I had been using almond meal all along, until I purchased a bag of almond flour from Honeyville at your suggestion. Now, everything is so light and fluffy, almost indistinguishable from the regular flour versions. This is a great tutorial on almond flour 🙂 Thank you! I would like to comment on the 2 vendors you recommended and how excited I was to see their pricing for a 5 lb. bag of almond flour; however, living in Alaska which apparently isn’t part of the US according to them, charged me an extra $29 to ship it here. Thank you for the vendor referral. I’m still trying it out but disappointed with the price gouging on shipping. That stinks, Alicia! Since I am originally from Canada, and all my family and friends have the same issue, I feel your pain!!! Wonderful!! Thanks, Carolyn 🙂 I’ll check them out. At the end of the day, the cost is worth it to me to stay healthy and eat yummy, tasty food that isn’t full of preservatives, sugar, chemicals, etc. Alicia, I just noticed that Honeyville Almond Flour is available through Amazon.com, with their “Free Super Saver Shipping” option. Carolyn, a swell job covering the bases! I love how you included the tip to not cut into almond flour home baked treats until completely cooled. 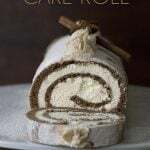 So many home bakers are tempted to dig right in while still warm and then, after falling to temptation, are disappointed when the cake or loaf falls apart or totally implodes…not unlike Clark Griswold’s turkey in the film, Christmas Vacation! Again, swell job! Thank you so much for this. Since removing grains and sugar from my diet, I feel like I’m learning to bake all over again. This is incredibly useful information and so beautifully accompanied by your photography. Lovely site! A great primer Carolyn. What I took away is the reminder all flours are not created equal and the characteristics of each must be considered when using them. One can’t just swap them ‘willy nilly’ with predictable results. Thanks for posting this Carolyn — I just attempted pancakes with coconut flour. Not a complete failure but still needs some work. I think I’ll try adding some Xanthum to the mix and see how that goes. Hi Gail. My best suggestion with pancakes is to keep them on the smallish side, no bigger than about 3 inches in diameter. They are really hard to flip and keep together, otherwise! Xanthan gum can definitely help a bit…so can a bit of protein powder. I’ve added unflavored beef gelatin with great results of keeping it all together! Could you share what kind of ratio of beef gelatin to flour you use? This really intrigues me! thanks for this… I used almond flour in a cake recently… a sugar, egg, and dairy free one… but I didn’t know the tip about letting it cool! So my cake was a total flop! I ended up layering the crumbles torte style, with strawberries and cool whip. But I have courage to try this again, thanks to you! Edible still, though, right? For me, that’s always a plus! Wow! Thanks so much for this! I do try to convert carby recipes for baked goods and, to some degree like the challenge, but my results are somewhat unpredictable. Not inedible but sometimes not as good as I want them to be. You are so nice to share this valuable information with us! I, like you I’m sure, am buried in snow this morning and may just have to amuse myself by baking something. Thank you for this post! I have always been afraid of almond flour, but now I have the confidence to try it! Great post, thank you for being so thorough! I haven’t had much luck with baking with almond flour when making my own adaptations so this definitely helps! You’re an angel. Thank you!! What a terrific article you created. I too, like many others had no idea of the difference between almond meal and almond flour. I certainly understand now and thank you very much for enlightening all of us. I now feel more comfortable using them. 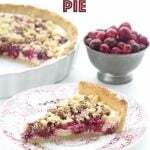 Thanks for your great recipes and information. I didn’t think there was much difference at the beginning when I started baking either. But once I tried Honeyville, I saw a huge difference and knew it was worth my while. I have been low carbing for a year. Your blog, and the three low carbing with friends cookbooks have been among my greatest inspirations. Thank you so much for the flour recommendations! Hoping to receive an improvement in my low carb baked goods by changing my almond flour source!!! Really appreciate the specifics! You’ve created a masterpiece here, Carolyn, just like your recipes! Thank you so very much!!! Carolyn, thanks for clearing this up. I did have one question. I think I get hung up between the words almond flour and almond meal. On the Honeyville web site it says ” Blanched Almond Flour, also known as almond meal, can be substituted for flour in cakes, breads, cookies, muffins, and your favorite recipes that call for flour. The taste and texture is phenomenal.” It seems to say that blanched almond flour is also known as almond meal, but your post says that flour and meal are different. Still alittle confused. I will however try your brand recommendations because I have found my baked goods are alittle too heavy using what I have been using in the past. Hi Pattie. In reality, there will always be a spectrum of how finely ground the almonds are. But I make a distinction between truly finely ground blanched almond flour (and Honeyville definitely falls into that category) and things that just aren’t as finely ground and may or may not be blanched. Trust me, the finer the grind, the more “floury” and the better your results for fine-textured things. a very nice, thorough write-up, Carolyn. Coulda, shoulda been a teacher. Thank you so much! I am ready to start baking again now that I know not to eat almond meal. I have not seen almond flour in the stores. I will search today and if I can’t find it I will order. Fantastic article! You are such a blessing in so many lives, Carolyn. Great post! I have just switched to using more almond flour and we really like it. Here is my question – what type/brand of whey protein do you recommend? I like Jarrow. It’s gluten free, very low carb and has no artificial sweeteners, even in the flavoured varieties. So, another question. 🙂 Should I get unflavored or vanilla/chocolate? What would I use the most in conjunction with almond flour? Also, in terms of almond flour that is actually ground fine enough to be called flour, I order mine from digestivewellness.com and it’s never failed me yet. Good to know, I love finding other suppliers of almond flour! I love this! So helpful. Now I want to bake everything with almond flour. What an amazing resource you’ve put together Carolyn! 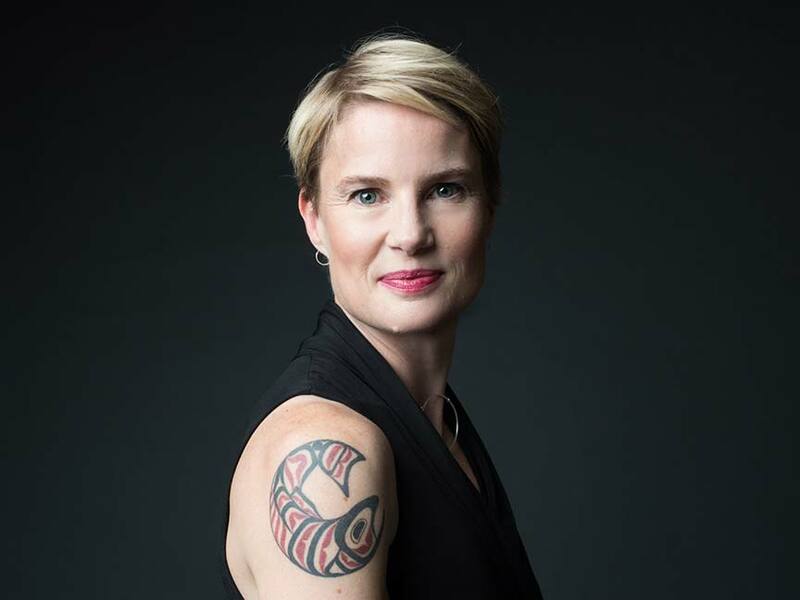 Carolyn, you are a rock star when it comes to this stuff. I only wished I had changed my eating habits back when I ran with you 3 times a week. Thanks for your informative info about Almond flour. I recently read that heating almonds/almond flour can lead to unhealthy, rancid results related to Omega 6’s etc. Do you know anything about this issue? I successfully made some banana muffins for my picky son with almond flour and was thrilled that he would eat them and excited to try more recipes but then heard that baking with almond flour is unhealthy. I’m very confused. I am not a health expert expert by any stretch, and although I’ve read bits and pieces here about the “unhealthy” effects of heat and nuts together, none of it is from a true, unbiased scientifically-based and peer-reviewed study. It’s all opinion-editorials from so-called health bloggers who may or may not have any qualifications to back up their claims. So I personally take it with a grain of salt. Omega 6’s are NOT bad for us, and are, in fact, required for our health. The problem in modern society is that our diet is high in Omega 6 and not nearly high enough in Omega 3’s. It’s the skewing of this ratio that is at issue here, because our diets have long been reliant on grains as staples. Almonds and other nuts may be high in Omega 6 when compared to fish, but they are a far healthier choice than grain-based baked goods. Regardless, no one should be subsisting entirely on a diet of nuts! Please know that these are my opinions only and not meant to be medical or health advice. Thanks for your reply, Carolyn. Much appreciated! Thank you for this very informative article! I just found your website and am looking forward to trying many recipes. I personally am only really looking to reduce the carbs in my diet. 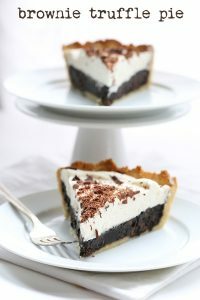 I don’t need to remove gluten So do you think it would it be helpful to just add a spoonful of gluten to things baked with almond flour or is there another reason using whey is better? Thanks! Whey powder adds protein, and since gluten is actually a protein, you need to replace it to helps things rise. I think adding a tbsp of gluten would help too, but you’d need a bit more than that to get things to rise properly. Not sure how much, you will probably have to experiment. I’m trying to do low-carb too because my husband was just diagnosed with diabetes and I have wondered the same thing about just adding gluten to stuff! I tried it with buttermilk pancakes today and they held together a lot better (I think about two tablespoons for one cup flour, so a lot) than yesterday when I made them without. I don’t see why low carb dieters who don’t have allergies to gluten haven’t talked about this online. Gluten plus almond flour will be my best friend if I can figure out how they work together. So basically whenever your recipe calls for protein, just replace with gluten, right? Many people have chosen to go gluten-free even if they don’t have intolerances, because gluten has many other health issues. But you can do as you wish. I prefer not to bake with any gluten products. I found your site tonight, and want to thank you for the information. However, what I’m trying to find out is if i can use the meal leftover from making almond milk. If it’s dried, would that be considered almond flour/meal? Everything else makes sense to me, but I’m just curious about that. Do you know ? and thanks! It would not be almond flour, because it wouldn’t be fine enough. But you could probably use it as almond meal. Does it need to be gluten free? Low carb? Is there a difference when adding yeast to almond flour? I wish I could tell you. Yeast is very tough with low carb and gluten free ingredients. Part of what makes conventional recipes rise with yeast is the way the gases get trapped by the gluten strands that develop. No gluten means no way to trap the gases properly. I haven’t experimented too much with yeast and low carb yet! 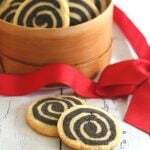 then maybeI I can give a try on a half-gluten recipe. Thanks! This is a great tutorial. Thank you so much. My hubby and I found almond flour to be pretty expensive so I had read that I could try making my own. 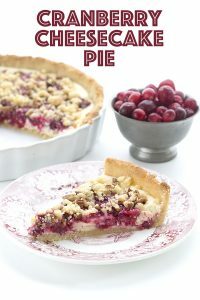 I am using it right now in one of your recipes as the sour cherries on our tree have become ripe and wanted to make a dessert with some of them. Being new to all of this, I was disappointed in my attempt to make the blanched almonds into ‘flour’. It really was quite mealy…nothing like ‘flour’. I was afraid to keep going as I feared I would end up with almond butter. I thought my processor was pretty good…that baby will chop and grind up anything. I know from your comments it won’t matter for this crust but should I just bite the bullet and put out for the packaged almond flour…what we fund was ‘Red Mill Flour/Meal’ and I have to say it looked like flour just seeing it through the bag. Would love your opinion. I am trying to fight some insulin resistance I seem to be developing….A1Cs are normal but fasting sugars are not. I am an RN and do NOT want to move on to being diabetic so am changing my (our!) eating habits now. Hi Georgeanne. It’s true, you simply can’t grind almond flour fine enough at home. It will make a great crust, and some muffins will be good too, but if you’re looking for a fine-textured cake, you won’t quite get it. And I love Bob’s Red Mill, but their almond flour isn’t quite as fine either, although good for most baked goods. The cadillac of almond flour is Honeyville, which you can buy on the Honeyville website. Next to that, my favourite is from Oh Nuts! Hi, Carolyn. Went shopping today to pick up some of the staples….some I couldn’t find and will order online. But I have 2 questions: I see that in a number of your recipes you use Stevia drops or extract……just wondering why you add those? Are the items not sweet enough with just the erythritol?? MUST these be used? Lastly, I was wondering why there isn’t a way to ‘save’ some of the recipes you have here to my ‘recipe box’ here on your site. I have a couple things I put in there but there were a couple recipes that didn’t have the option of saving them….for instance the recipe for your peanut butter/chocolate donuts. Should questions like this be addressed somewhere else? In some ways, my use of two sweeteners is just habit. I started doing it that way in the beginning and so I’ve just kept doing it. But here’s why: 1. Erythritol is expensive and stevia is not. That little jar of stevia extract will last a long time. 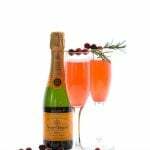 My readers can’t always afford erythritol in full quantities so it helps to use a little less of it per recipe. 2. I’ve always found that using the two together helps increase sweetness and decrease aftertaste. Now that I use Swerve, I don’t have the problem as much with either sweetness or aftertaste, but again, my readers can’t always afford Swerve in full quantity. I’d be happy to rewrite the recipes you want to save on Ziplist. It’s simply time and energy, so tell me which ones you want besides the donuts and I will make an effort to go back and put them in the Ziplist format. Many thanks…..no problem…you have plenty to do. I will get it a different way. I look forward o trying some of these out. Thank God for your dedication! Hi Carolyn. 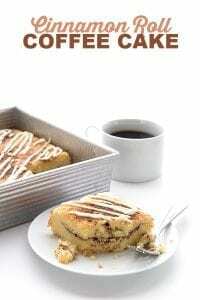 I use Honeyville, all ingredients at room temp, but often my baked goods sink in the middle. I only use recipes from your site and those of your friend at @ Low Carbing Among Friends. What am I doing wrong? Somehow there is too much liquid, and/or not enough protein. It’s hard to say if I am not in the kitchen with you but try adding a bit more protein powder and either reducing the liquid by a few tbsp or adding more almond flour by a few tbsp. Thanks so much! For this and everything you do. 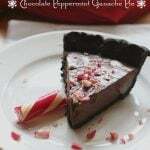 I have been following and sharing your FB page and recipes for a bit and I love your blog. I would like to as for permission to mention this post on my article to be published, being that I am also trying to remove as much sugar and grains from our family’s diet as possibly. Of course there will be the corresponding mention and link to your posts. Thanks in advance for your time. Keep up the great work! Sure Astrid, that would be fine. Glad you find it helpful! I will be posting it soon- PB coming your way! Do you suggest any modifications for gluten free/almond flour baking at high altitudes? I am about 5000 ft above sea level. I haven’t ever baked at high altitude, but I asked a gluten-free friend who lives in Boulder and she says she doesn’t change anything at all and hasn’t had a problem. Thank you, and thanks to your friend!! Why my Almond Flour cookies, whic come out of the oven nice and crisp, turn limp and glob together after a few hours? I have never heard anyone complain that almond flour tastes bitter. What other ingredients did you use? I am concerned that you might have bought a rancid bag indeed! I found the same. Almond flour made pancakes, biscuits, and waffles taste bitter. 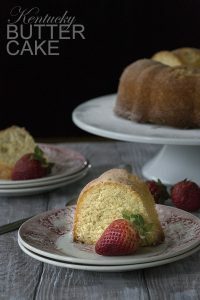 I want to low-carb a recipe for a strawberry jello cake (paula deen’s – she adds the dry jello mix to the dry ingredients rather than a poke-cake method. already found a sugar free gelatin mix that works) that adds a bag of pureed strawberries to the cake batter. I am concerned about how the liquid might throw off the recipe, and how to counter it, however. I’m currently using a Low-carb all purpose flour replacement as I only have about 1/2 cup of almond MEAL remaining, and maybe 3/4 cup coconut flour. I have xanthan gum, flax seed meal, carbquik, and whey protein powder, too. Vegetable fibers, wheat protein, wheat gluten, unbleached hard wheat flour, whey protein, low glycemic monosaccharide, baking powder (calcium acid phosphate, bicarbonate of soda), lecithin, yeast flakes, all natural monk fruit. Because your low carb mix uses real wheat flour, I doubt you have to worry as much about the moisture content as if you were using almond. But when I do use almond flour and am including a “wet-ish” ingredient, I usually add about 1/4 cup coconut flour to help soak up that extra moisture. You could try that if you were concerned. Thank you for this post! When starting low carb, I purchased almond “flour” in bulk from my local grocery store. It is so coarse and I didn’t realize it was because I had purchased the wrong thing. I am almost out and just put in an Amazon order (using your link) for the Honeyville. I’m excited to see what the consistency is like! Thanks, Sandy! Almond meal has its uses for sure, but if you want a fine-textured cake, you do need a finer grind. Thanks for the handy primer. Some good tips in there that I might not have thought of my first time around, like increasing the leavening agent and compensating for the lack of gluten. Will be starting a keto diet soon, but I’ll need some baked goods to get me through. I think almond flour will fit the bill nicely! You’re welcome. Good luck with Keto! Thank you so much for your post!! I have a quick question and wondered if someone could help me…. I live overseas and can access almond “meal” (as you described it) really easily, but it is very coarsely ground. Will it turn to mush if I put it in my coffee grinder or food processor to make it more finely ground? Anyone had any experience with that? Also, I have done a lot of homemade almond milk and saved the pulp leftover and dried it out in my oven. Now I have a ton of coarse, bread-crumb like stuff that I have no idea what to do with but don’t want to just throw out. It seems that it could be very valuable in low carb baking! Any ideas? Would this be more like coconut flour since the oil has been taken out during the milk making process? Like I said, I am new to this, so any thoughts and advice would be GREATLY appreciated!!! Thanks again so much for this post!! My thoughts…I think you could grind your almond meal a little more finely without it turning into almond butter. Give a little bit a try and see what happens. If you have a large food processor, you will actually need to put in a fair bit…I find they don’t grind small amounts well. Do you have a coffee grinder? That might be worth a try too. I’d try grinding that finer too. It’s worth a shot! Thank you SO much for this great article. My bf is dieting…which means so am I. I am a sucker for carbs and that’s #1 OFF his list. I’m in need of low card alternatives and this has given me a light at the end of the tunnel. Definitely going to try …probably all of these recipes. lol. Hi Carolyn, have just come across your website today whilst trying to find out why my baked goods using almond flour always have a horrid taste to them – I live in the UK and have bought ground almonds which if I’m reading your post correctly is basically almond meal and not the flour that I thought. I have 3 bags of it but it won’t go to waste as I have a couple of recipes which don’t require baking so can use them up. Does the ‘taste’ come from the almond meal (ground almonds) heating up i.e. the fats? Every single recipe I’ve tried just never tastes quite right, I’ve found it difficult to source blanched almond flour and to be honest, I’m probably scared to try it incase it still tastes weird. Maybe it’s just my taste buds, but I know not to expect bread for instance to taste exactly like bread made with wheat flours. Help! Wow those muffins look great, will give them a try! I love almonds so was surprised with the weird taste, maybe it is the skins as it does seem to be quite bitter. Can’t remember all the sweeteners I’ve tried as have tried several different almond flour recipes from bread to english muffins – don’t think either even had sweetener. Will try the muffins and see if the chocolate helps – haven’t eaten bread in that long I don’t know why I keep trying to make it. Thanks for your reply. Any suggestions – is it just the flour from HB? Loathed to by some more as super expensive at £9.99 for 500g – ouch! Is it super fine and defatted almond flour? The one here in the US is just ground blanched almonds but I know that some of the ones in Europe are different… very powdery with much of the fat removed so they work very differently. What is your opinion on Oat flour? My opinion is that it can be useful in small quantities but it’s too high carb to use more than about 1/4 cup per recipe. I don’t usually use it at all anymore. Hi. I’m a newbie only because my mother had her cholesterol check and her Dr noticed her blood sugar was just slightly high. She figured it was time to cut back on pasta, breads, chips, etc which we both LOVE! Both of us need to lose weight, anyway. So hard to give up stuff you love but after reading various articles about low carb recipes and ingredients, they don’t look too difficult to change your diet! I love to cook and bake. I read your article on almond flour and that you can freeze them. My question is: is it better to portion out, maybe by cups, to keep in the freezer so you can pull out what you need to bake with? I’m not sure what would be the typical amount for a cake/muffin/bread recipes.I think it’s pretty smart to do that so you don’t have to refreeze the flour over and over. What do you think? I typically keep 6 or 7 cups of almond flour on my counter in a tupperware and put the rest of the bag in the freezer, but I use a lot of almond flour so that’s a good amount for me. I don’t think it matters that it thaws and freezes again when I get more but you could easily portion it out in ziploc bags. I was the same Carolyn. However, I made the obvious connection. The foods I loved, some of them espoused as healthy, were making me obese. Only after going low-carb for two months do I realise how much harm I was doing to myself. Type 2 diabetes frightened me. No more starch or sugar for this one! Thank you so much for the detailed description. It was very informative. I have a questions that might be more superficial. I do not like the taste of almond extract in desserts. Does almond flour add a similar flavor to baked goods? Thanks! In most baked goods, no it does not. Surely almond bread is bread. Period. I don’t get how it won’t interfere with a very low carb diet. I want to try it, but I’m worried it will torpedo all my efforts and start to put fat back on my waist etc. I’d like to toast it, and lather it with lashings of toasted cheese and tomatoes.. How would that taste I wonder. Thank you. But almonds don’t contain the sort of carbs that wheat does. A very, very different beast altogether. It all depends on your carb intake, I guess. How do I follow you for recipe suggestions? I did not see a site. How much different from almond flour is hazelnut flour (or other nut flours for that matter)? I have a friend who has problems with almond flour. Thanks. The only thing about hazelnut flour is that it’s typically not as finely ground. And it has the husks on so you see brown flecks. 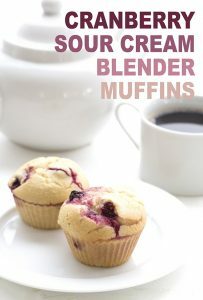 But I’ve used it in many muffins and cookie recipes and it still works out very well. Do you have a recipe in mind? I already did that in this tutorial from a while back: https://alldayidreamaboutfood.com/2013/02/low-carb-basics-baking-with-almond-flour.html Hope that helps! D’oh! Totally missed it, thank you! Thanks so much for your terrific blog! 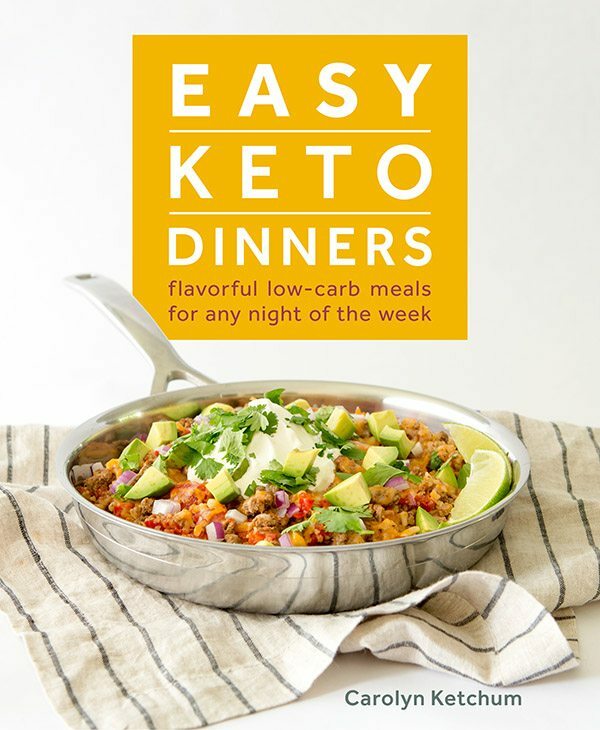 I’m having a lot of fun trying your recipes and getting back on the low-carb track. Here’s a question I’m hoping you can help me with: I’m making a chili relleno casserole which calls for 1/4 cup of flour. Would substituting almond flour produce similar results? Roughly speaking, what would the ratio of almond flour / meal to protein powder be? That is an interesting question! Well, for many recipes, it’s 2 or 3 cups of almond flour to 1/4 to 1/3 cup of whey protein powder. I do it by gut instinct so there is no hard and fast ratio but I guess it would be 8:1 or 9:1. I was wondering in using almond flour for making bread. You said you used a whey protein powder to hold the structure. What is the difference between that and vital wheat gluten? Which one is better to use? I supposed that depends on your perspective. I don’t eat wheat or gluten, therefore I choose not to use vital wheat gluten. There’s a huge difference between whey and vital wheat gluten. whey is made from milk, right? So, if you’re trying to avoid gluten, using vital wheat gluten would be a no, no. Thank you so much for this great information! 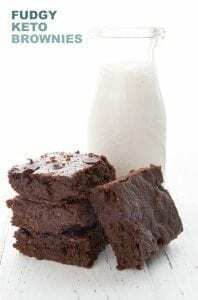 Could you please share what whey protein you use in your baking? Thanks! Well, right now I am using some from Bob’s Red Mill, but I also like Jarrow and Tera’s Whey. I was baking a lot with almond flour, until last year when I discovered I cannot eat eggs or dairy. The amount of eggs required in these recipies has scared me away from trying them, not wanting to waist ingredients having it not work. I DO use ground chia seeds and water to sub in other recipies, but only to replace 1 or 2 eggs. Do you have any experience using substitutes for eggs in the larger quantities? I don’t I am afraid. My fear is it would not work out well but I think in your case, it might be worth a try. I’d add more leavening agent to help things rise a bit more. Thanks Carolyn that sounds Interesting. Would the flour have that distinct sunflower seed taste? 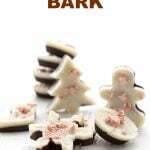 Yes, a little but it can be masked with other flavours, particularly chocolate. I’ve used this recipe a couple of times but have trouble with the bread falling as it cools, after I take it out of the oven. I bought some blanched almond flour at my local Natural Grocer store that looked as if they had ground it at the store. They keep it in the big cooler at the back of the store. BUT, after reading your description of almond flour, I have to wonder whether what I have is really almond flour, because it looks rather gritty to me. Could this be the reason why my bread keeps falling as it cools? It very well could be. Working with psyllium is tricky anyway so if it’s more like almond meal, then it probably won’t cut it. I would like to try some of your recipes, and I live at 6000 feet. Do you know if high altitude affects baking with almond flour? I don’t have the patients for trial and error, and I hate to waste ingredients if it doesn’t turn out well. I’ve lived at high altitudes my whole life. My elevation here is over 5000 feet. The air pressure is lower, so things rise too fast before the structure has set, which makes it collapse. You have to DECREASE the baking powder and INCREASE the temperature. I made this with those changes and got a lovely loaf that did not deflate. I used 2 1/2 teaspoons baking powder with an oven temp. of 375 degrees. I baked it in an 8″ x 4″ nonstick metal pan, sprayed with coconut oil spray, for 75 minutes. Then I took it out of the oven, which I turned off, put the loaf on a metal rack and put it back in the oven to slowly cool for another hour. Since I was using Now psyllium, I used the higher water amount. Many thanks for this – very helpful. I’m hoping you can help even more, though! My wife is allergic to grasses, so she is trying various recipes. Ground a!minds for cupcakes goes well, but she has recently been using almond flour to try to replicate choux pastry, for profiteroles, but without success. Do you have any experience of making choux pastry yourself, and any advice? on the very top rack of my electric oven, which has only 1 rack, that I can adjust. Sounds like your oven might be the issue here, not conveying heat very well to the rest of the oven. Not sure how to fix this for you if you are already putting them on the top rack! One suggestion may be to get a silpat (the silicone baking mats) to protect the baked goods a little more on the bottom. Great info here. I wonder if you’ve seen or used King Aurthur almond flour. It seems finer than the Red Mill, and I can get it without having to mail order. If you’ve seen it I’d appreciate you’re telling me how it compares to your preferred choice. Thanks. Hi Carolyn! 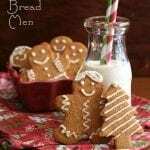 Beautiful presentation of delicious almond flour recipe, you have shared. What an almond flour recipe it was! This is my favorite one also. 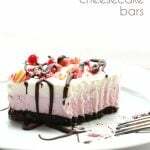 I love your blogs which always come with new recipe with new taste. Keep it up and keep sharing as such. I’m always on the lookout for low carb ingredients in my local grocery stores because I’m super impatient and want to try new recipes and new ingredients yesterday! I don’t like waiting for things to be shipped to me. I have ordered things, of course, but I really prefer getting my paws on it ASAP! Hope it is okay to name the stores. If not, I apologize in advance. Your blog is just so great, and has helped me broaden my low carb baking horizons. I’ve been doing low carb exclusively for 3 years now, and I also have a wicked sweet tooth, so your blog has been indispensable to me. Yay for low carb yummies! Thanks for the heads up. Bob’s has recently changed to a more finely ground version which thrills me! 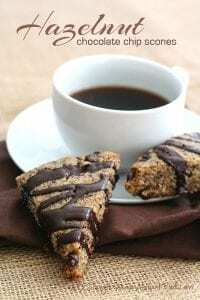 I really want to bake a healthy biscotti recipe for my family. Will oat flour work in place of the almond meal???? I really can’t say, I don’t use oat flour at all. Sorry! I have had some questions about nut flours and yeast lately and this has helped me get a little better understanding of what is happening. Thanks! I am new to your website, I just subscribed. I’m so happy I found you, as I have Hasimoto’s (hypo thyroid) and have had to go gluten free. 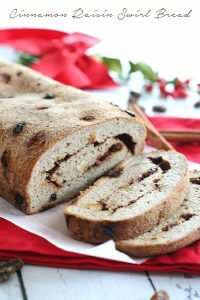 Finding satisfying, tasty breads and desserts has been hard, as I live in the Caribbean and it is hard to find many of these things, that are also low carb. I have been experimenting with almond, coconut and tapioca a bit, and have made some nice things. This is so helpful and I have been drooling over so many of your recipes. Thank you for such a great and informative website..
You mentioned that you might add whey protein in almond flour recipes to compensate for the absence of gluten when you remove the wheat flour. But, pure whey powder is gluten free. Did you make a mistake? Or, is there something other than gluten that you are seeking out in the whey powder that offers gluten-like influences? Thank you whole heartedly for your article. 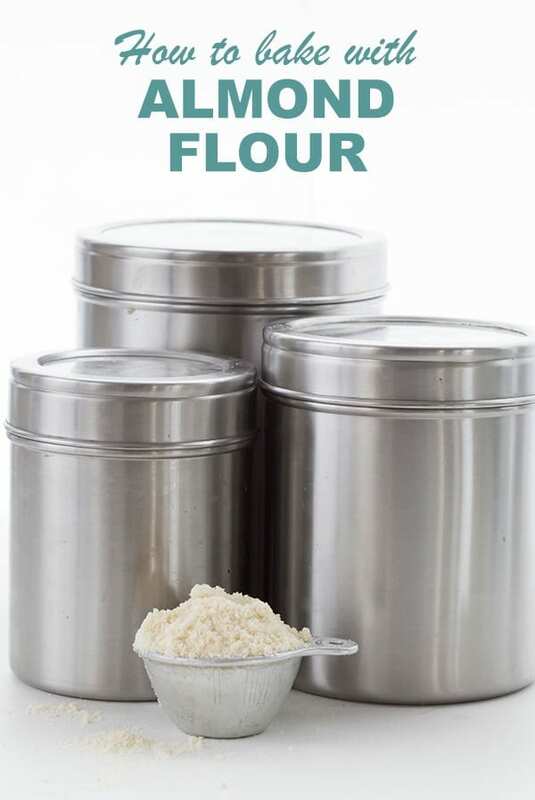 It’s packed full of useful information and you’re truly a pioneer in almond flour baking. I am not trying to add gluten. I am trying to add a dry protein. Gluten is a protein and part of what it does is help baked goods rise and hold their shape. So does whey protein. Thanks for this. Anyone having a COSTCO membership might be interested to know that they have started carrying Almond Flour in 3 lb. bags for around $10- $11. Seems like a bargain to me. That’s in Charlotte, NC, anyway. Thanks for such a nice and useful tips …. Please keep sharing your knowledge with us. I will definitely share this post with my friends. Thank you so much for explaining how to use this flour. I love all your sweet treats (so does my family). I know when I make one of your recipes, it will be wonderful! Eating keto sweets is not cheap and I know when I make something of yours it won’t go in the trash. Great article! Thanks so much! Just wondering if you have ever worked with vital wheat gluten in any almond flour recipes – particularly keto bread. I used to, but I don’t eat any gluten anymore so I don’t have anything to really say about it. Is there a printable version of your info on almind flour? I like to print info out to highlight and study- I retain it much better! Thank you for posting this! It’s helpful and I now know why I have a difficult time with certain recipes. I’m not letting my ingredients get room temperature. That makes a huge difference. I always kick myself when I am in a hurry and I add cold ingredients. I get clumps of butter in my cakes and then little holes after it’s baked. I’ve been trying a handful of your recipes and loving them so far! Thanks so much for posting them 🙂 I am a new baker to almond flours/coconut flours etc. and really appreciate your blog! I did have a few questions about using baking soda/powder and the science of baking. 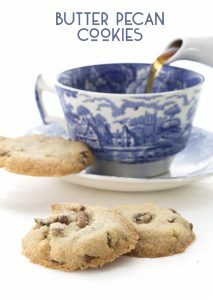 I noticed that in some chocolate chip cookie recipes you have used baking soda or powder. Why is that? 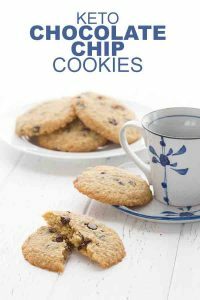 Also, when doing some research about these leavening agents, I read that baking soda always needs an acid to activate it, however in some of your cookie recipes like this (https://alldayidreamaboutfood.com/single-serve-low-carb-chocolate-chip-cookies/) you use baking soda without an acid (like buttermilk, etc). I just made the cookie and saw that it rose significantly and turned out well – how does this additive work within the recipe without an acid? Thanks again and truly appreciate it! Hi Lexi. Baking soda in cookies is common because you don’t want them to rise per se, but it helps them puff up a little and it typically browns better than baking powder. That’s why you often see it in cookie recipes with no extra acid to help it rise. Very different than if you were to make a cake! You reversed the meaning of the terms “blanched” and “unblanched” in your description. Blanched almonds have had the skins removed. Glad to find this page. I have a big bag of almond flour and want to start doing something with it so I”ll be looking at recipes. I hope there’s one for zucchini bread since that’s in season; if not I”ll use your tips and do some experimenting. I am not sure what you are seeing but I think you are not reading it right. I used blanched for almond flour and I clearly say: It should also be blanched almond flour, so that you get no little dark bits of skin. I was wondering if you could give me some pointers. 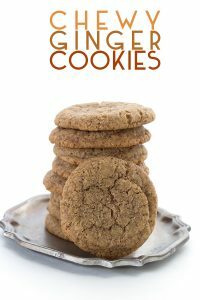 I’m looking to adapt a family cookie recipe to keto. The cookies are similar to most Viennese Crescent Cookies recipes you see online (similar to this: http://www.kitchme.com/recipes/buttery-viennese-crescent-cookies) – they are short and tend to spread and puff up a bit. They are textured inside because of the hazelnut meal that you make to create them. What do you think would be a good sub for the AP flour? Curious about a substitute for the whey protein? I’m allergic to whey — and all dairy and soy. Egg white protein or hemp protein. I tried baking some almond bread with psyllium husk powder. I got a container from NOW Foods. I heard their’s was a good brand, and I could get a small container (12oz). I had read it was the secret to making wonderful bread. It was a recipe I found on Pinterest. However, the hot bread had a horrible smell! And it pretty much tasted like it smelled! I’ve never heard anyone else having this problems. Is it just me? Because of that, I hesitate to use it again. Hard to say why but it could be the psyllium. I find that most almond flour baking recipes day that the finished beads, cookies, biscuits etc. should bee stored in an air tight container for a few days. Can you explain why just a few days? If you mean in a container on the counter, then it’s because sugar free recipes like this are more prone to mold, since sugar inhibits mold but other sweeteners do not. But you can often keep them in the fridge for up to a week. Hi! You sure know a lot about almond flour so I will consider you the expert for my question! 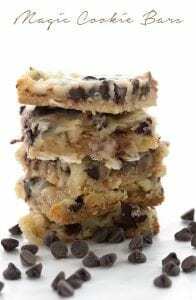 I make a specialized chocolate chip cookie dough product that is wildly popular. Because of concerns about E. coli in raw flours such as Gold Medal and Pillsbury, it is recommended that I bake my flour for 10 minutes to destroy any potential bacteria. Therefore I do this religiously when making my cookie dough for raw consumption. I am trying to produce a gluten-free cookie dough for raw consumption and I am wondering if you suggest that it would be necessary to do the same with blanched almond flour. Since the almond flour is actually very finely ground nuts, I’m not sure whether it would be required. Any thoughts? Thanks! I don’t know that I am the right person to ask about a food safety issue like this. I consume raw almond flour (and raw nuts) frequently but that doesn’t prove much! I am wondering if you might have some tips for high altitude baking in general, using very fine almond flour. I am at 7,000 feet. Thank you! I’m new at using Almond Flour. I need to make Cornbread with Jalapeños and Onions for a Vegan Chili Cook Off on February 8th. In order for it to be right how much Almond Flour should I use?? 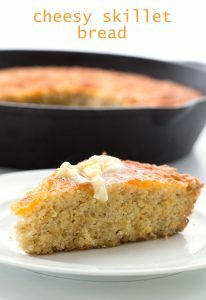 Please search my blog for cornbread, you will find a good recipe. I am very new to almond flour substitution. I began eating Keto about 6 weeks ago and I am just now beginning to attempt converting some of my favorite family recipes using almond flour. I would like to know if there is a formula for adding zantham gum to almond flour as a direct substitute for wheat flour? I would like to attempt making some Indian Fry Bread, but my recipe is very simplified and I’m not sure where to start for adding zantham gum to my recipe to get a close consistency for the original recipe. Any suggestions would be helpful! Thank you in advance. As I state in the article, there simply is no direct substitute for wheat flour. I can’t thnak you enough for the great article!! I have been using bob’s Red Mill but will be trying other brands also to gauge the difference in baking cakes! I have been absolutely loving all your recipes!! Am I reading the Almond Meal paragraph #3 (under the picture of the meal vs flour) that blanched meal has the dark hull bits and the unblanched was the husks removed? Sorry, that’s a typo. Blanched is the white kind, no skins or hulls. No, it’s never possible to replace cake flour with almond flour 1:1. 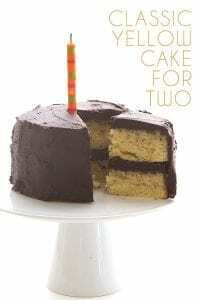 Please use one of my MANY cake recipes and follow the amounts and instructions there. You can use a paleo sweetener like coconut sugar, but if you use honey, you will need to reduce the liquids.